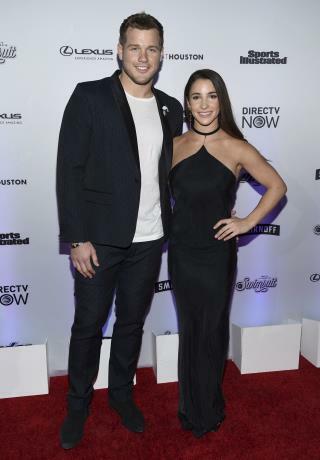 (Newser) – While most of this season's finale of The Bachelor seemed hyperfocused on whether contender Colton Underwood lost his virginity, Li Zhou is now homing in on what was supposed to be the feel-good ending to the ABC reality show: Underwood dumping two remaining women and instead pursuing Cassie Randolph, who broke up with him earlier in the show. In the end, he got his girl, but as Zhou writes for Vox, he used a "familiar" tactic that isn't necessarily the best one, and one that's become "one of the most troubling tropes" in rom-coms. To wit: "The idea behind this approach simply involves a man wearing a woman down, despite her protests or expressions of disinterest, until she ultimately decides she's open to a relationship." This ladies and gentlemen is why we have the govt we deserve. Too much of our society is obsessed with celebrities and sports and not paying attention to want is going on in the real world. Dont get me wrong, I enjoy entertainment as much as the next guy. But when all is said and done, whoever wins the Super Bowl or wins some real-wife-dance show does not affect me. So the author of this thinks women have no backbone and hook up with guys after being worn down? I'm offended, this author should be fired. Of course women never throw mixed signals because we're so not complicated.